The couple set off on their journey in April 2017. Source: Lambies Travels. 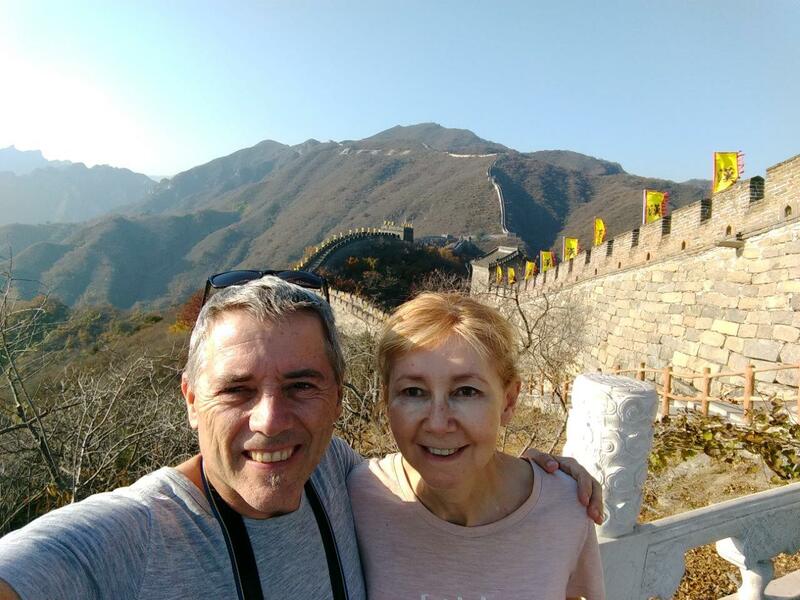 A couple from Melbourne have revealed how they were able to become full-time roving retirees, after giving up work early and setting off to fulfil their dream of seeing the world while they were “still fit and able to”. The Lambs have been jet-setting around the globe for almost two years now, visiting exotic and far-flung places such as Spain, South America, Thailand, Laos and the United States of America, all for less than $100 per day. Glenn Lamb, 57, and his wife Jacqueline, 52, finally took the plunge and quit their jobs in April 2017, offering their services as full-time house and pet sitters free of charge, enabling them to live like locals in a whole host of locations around the world on a modest annual budget of around $32,000 – one third of what they were spending at home in Australia. “We have always travelled and wanted to continue exploring the world,” they told Starts at 60. “We just didn’t have a vehicle to achieve this besides working and saving for holidays. We thought retiring to a location in SE Asia would allow us to have a lower cost of living and travel – but we never imagined that we would be travelling the world full time and house sitting. Glenn and Jacqueline, who have one adult son Brandon, 27, together, credit advice they received from their parents when they first entered the workforce for instilling in them an ability to save, enabling them to carry out their dream of enjoying what they have dubbed a “roving retirement”. Despite still being too young to access their superannuation, the pair – who also blog for website International Living – saved meticulously to afford their travels, with money from investments, share dividends and property boosting their income now that they are no longer working. They also rent out their home in Melbourne which helps to fund their trip. Prior to travelling full-time, the pair embarked on an “adult gap year” in October 2015, spending five months in Thailand, one week in Hong Kong and six months in Europe between returning to Australia, via Chiang Mai, to resume their “normal life”. However, upon returning to “normal life” in Australia, the travel bug bit once again, spurring the couple on to sell all of their worldly belongings and head overseas on their retirement adventure. “Over the course of our year away we had discussed how much we were enjoying what we were doing,” they added. “The night we arrived home from our 12-month trip we looked around our house and said ‘gee we own a lot of stuff’. The couple also operate a house sitting website. Source: Lambies Travels. The Lambs are currently in Mexico and are planning to explore more of South and Central America in the coming months, having already seen much of South East Asia and Europe, with the small villages of the United Kingdom being a favourite of former dental nurse Jacqueline. Read more: How real people like you worked out their post-retirement budgets. You can find out more about the Lambs and follow their travels by visiting their blog ‘Lambies Travels’. Is this something you’d like to do? Were you able to retire early and travel more?